There was a time -- it seems like the distant past now -- when rock music was a little bit more in your face. I don't mean in your face like fast or loud or noisy. I mean in your face like rebellious and uncomfortable and not necessarily "nice." There are pockets of that now still, obviously; but I think it's become rare to find a 3-minute pop song that captures that grit and well... ...contempt... of rock music from another time. 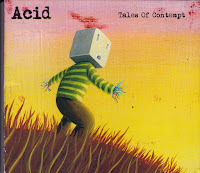 On their second LP, Tales of Contempt, Long Branch / Asbury Park band AciD serve up plenty of contempt and sneering sarcasm in the form of infectious, bite-sized chunks of well-crafted rock music. Principal songwriter, Bobby Kennedy, has a sharp wit that he turns both inward and outward throughout the record. Over jagged guitars and a drum beat reminiscent of The Stone Roses, Kennedy sings about a relationship that's gone south. "I always do it wrong... ...You always do it right." It drips with sarcasm, and then he finally brings it around to, "Be yourself and all I ask of you is you do it somewhere else." Things start out happy on the somewhere between punk and post-punk "Sea Hag." Kennedy's baby, though, just can't seem to live up to the standard set by his own self-perceived greatness; so he's gotta cut her loose. "Rock & Roll Genocide" makes some pretty astute observations about the lack of originality in rock music with the band even calling themselves out, "I don't even like this song. It's already way too long." AciD have so much contempt for rock music that they can't even stand themselves. AciD reveal some of their influences with an excellent cover of Love and Rockets' "Motorcycle." It rocks a little harder, and the production is a little cleaner, than the original which makes the song slot in nicely with the originals. The hard-driving "Dance!" calls out the "keep at least 10 feet away from the stage, and stand with your hands in your pockets or sit on the floor" culture that permeates most modern rock shows. "Solitaire" and "Crushing My Heart" both begin with great intro hooks and both deal with the futility of love: "This 'together forever' thing is going nowhere" on "Solitaire" and, well, the title of "Crushing My Heart." Tales of Contempt takes a lot of what used to be great about rock music -- singable songs with lots of musical edge, cutting lyrics that question a lot of the things in life that we just accept and take for granted -- and combines it in a tight 10-song package that's one of the best, old-school rock records you'll hear in a while. Kennedy is a virtuoso of the 3-minute rock and roll song, and the rest of the band -- Johnny Firestone, Joey Chyb, and Benjamin Clapp -- give the songs all the serrated edges they need to bring them to life. 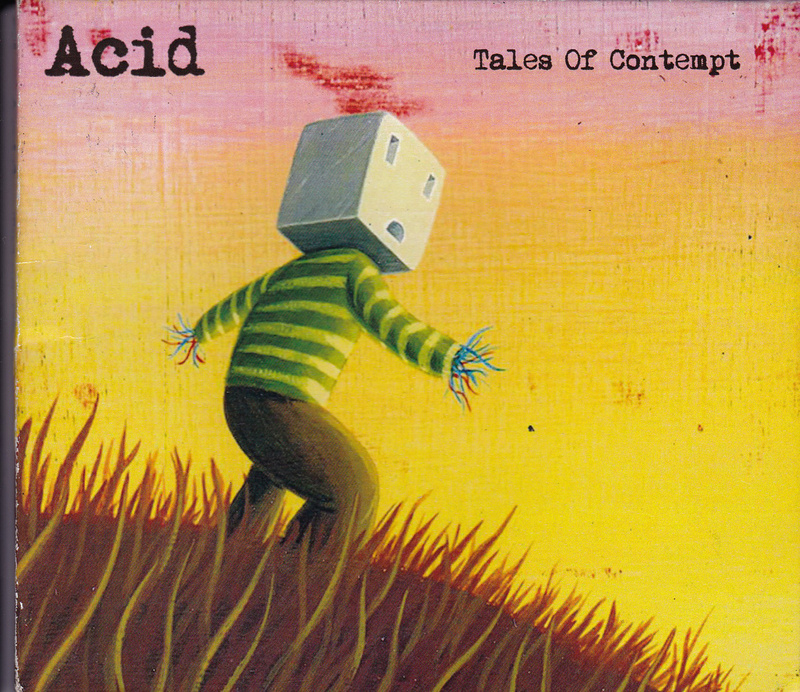 AciD release Tales of Contempt tonight with a show at Eatontown's Cabaret. They'll be joined by The Ribeye Brothers. Doors for "Album Release Party-A-Go-Go" open at 8pm and just $5 lets you stand -- and Dance! -- under the contemptuous gaze of the band. ACID "Motorcycle" from SurfReaper Films on Vimeo. ACID Video for the song "Motorcycle"